On March 13, 1917, a young inventor named Art Parker walked into a second story loft he had just rented on a bluff above the Cuyahoga River in downtown Cleveland, Ohio, and began what seemed like an impossible dream: to use a new technology called “fluid power” to control the movement of nearly every type of machine. Art and his partner, Carl Klamm, had only one product to sell-a pneumatic brake system for trucks and buses. They also had only one customer-the Akron, Ohio-based Goodyear Tire and Rubber Company. Not surprisingly, few people thought they had a chance to succeed. 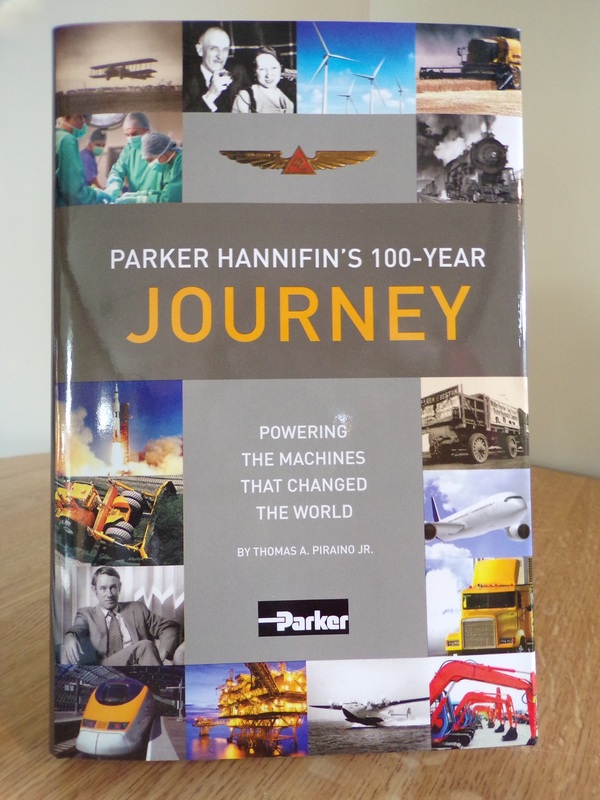 Parker Hannifin’s 100-Year Journey: Powering the machines that changed the world explains why Parker has lasted for 100 years, growing to become a multi-billion-dollar global manufacturer with more than 50,000 employees in 50 countries. The company not only survived, but prospered, during one of the most tumultuous periods in industrial history, spanning two World Wars, the Great Depression, the Jet Age, the Space Race, the Cold War, the globalization of industrial markets, and unprecedented technological change. This is the story of the men and women who provided the know-how that took Charles Lindbergh across the Atlantic, airline passengers to destinations around the world, the Allies to victory in World War II, Apollo astronauts to the moon, and vaulted hundreds of millions of people in every corner of the globe from poverty to the middle class. It is a story about passion, faith and belief-how Art and his successors instilled in the company a culture of unwavering commitment to their customers, and to making the world a better place. It is a story that will inspire anyone who dreams of creating an enduring business that can withstand the test of time.